June 30th hits, school ends and all the families in the area head out of town. Where are they going? Some are camping, some are road tripping, and some are going to the lake. Conventional options for these family summer vacations used to involve trailers, tents and motorhomes, with the occasional cabin here or there. However, this has drastically changed in the last few years in the Canadian vacation landscape. In a 2018 RE/MAX survey, it was found that 1/3 of Canadians own or want to own a recreational property for investment purposes. Trend watchers have noticed that Canadian buyers are increasingly renting in city centres while purchasing recreational homes for future retirement homes or investments. 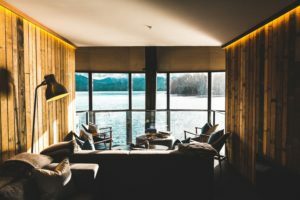 Many buyers with current vacation homes south of the Canada-US border are choosing to sell their properties due to the poor dollar exchange and instead purchase alternative cabins and homes right here in Canada. Demand for these properties in the Canadian Prairies is primarily driven by young families, young couples and retirees. They see this as an opportunity to invest in their future but also enjoy the recreational side with their families. The 2018 survey showed that the most desirable properties were cabins on the waterfront that had access to boating, beaches and fishing. Therefore, the purchase of these recreational homes is activity driven, blurring the lines between recreational properties and residential areas. Canadians are beginning to value an active lifestyle more than a work-based routine, outside of the city and away from large numbers of people. Remote vacation homes allow the family space for activities while remaining in relative distance to other families with the same interests. When it comes to choosing a location, 72% of surveyors responded saying they would not travel more than two hours to their vacation property, showing that people want to be able to use their property as much as possible. Families with young children do not want to sit in the car for half a day to enjoy a hike or take the kids swimming. Popular areas in the Canadian Prairies for families to have vacation homes are around lakes (Lake Koocanusa, Sylvan Lake, Manitou Beach), ski resorts (Red, Fernie, Marmot, Lake Louise), and the Rocky Mountains (Banff, Canmore, Jasper). With the natural beauty and abundant amenities surrounding these areas, it’s easy to see why young families would choose to purchase property here. They are ideal for recreational family homes with plenty of activities for the kids to enjoy as well as being a potential investment opportunity or retirement home – whichever they decide for their future.